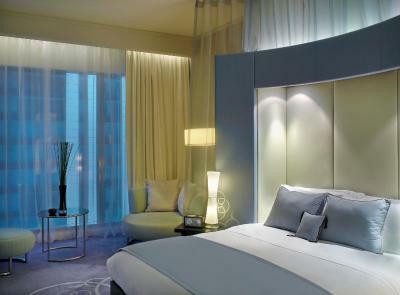 Lock in a great price for W Doha – rated 8.9 by recent guests! The whole experience was mesmering! From the welcoming moment (thanks for the amazing Robin) till the checkout!! Exemplary in customer service! A big WOW! Very nice location.. The beach view from distance or the city view which look amazing at night.. Very nice menu of Sushi especially in the Market restaurant.. The service and Staff are always available. (Thank you Sebastian for your service).. The room is amazing, the style of the room. The location is good. They gave us a late checkout till 4PM which was super good. The staff was amazing. Everyone was so polite and willing to assist us and make us feel comfortable. The receptionist even offered that I check out late even if I was not asking. That was a very good start to our stay. Honestly, I did not travel but I booked the hotel for my family and they loved it, I was in the hotel many years back and it is one of the best in Doha. The A/C cooled the room properly. Bed was comfortable. Toiletries were very nice as well. Nice windows for natural lighting. 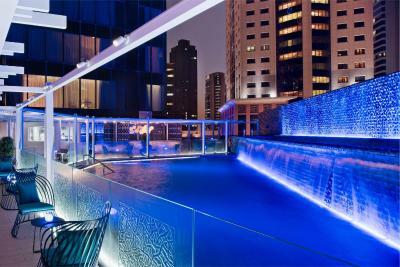 W Doha This rating is a reflection of how the property compares to the industry standard when it comes to price, facilities and services available. It's based on a self-evaluation by the property. Use this rating to help choose your stay! 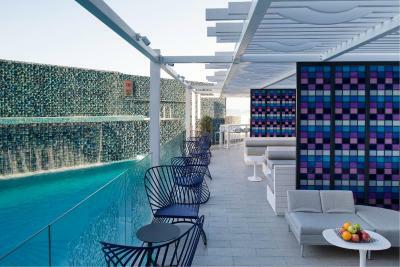 Just 650 feet from Corniche Promenade and City Center Shopping Mall, this design hotel offers stylish rooms with satellite TV. It features an outdoor pool, spa center and on-site restaurants. 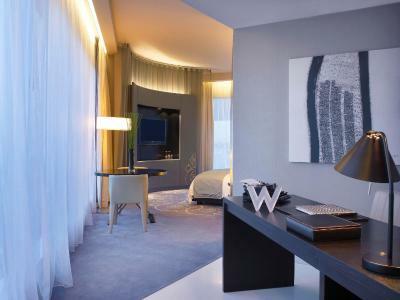 The air-conditioned rooms at W Doha are equipped with an iPod docking station, mini-bar, hairdryer and tea/coffee-making facilities. Each has a work desk and a private bathroom with bathtub. 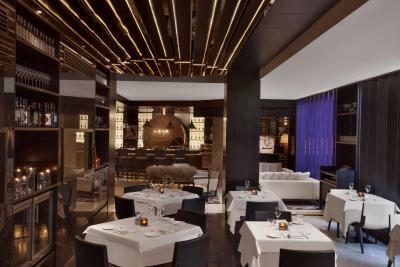 W Doha offers several dining options, covering both regional and international cuisine. Guests can relax at the poolside bar or enjoy a cocktail at the Crystal Lounge. Guests can have a massage and try specialized health treatments at Bliss Spa. Lounge pools, sauna and a steam room are also available. 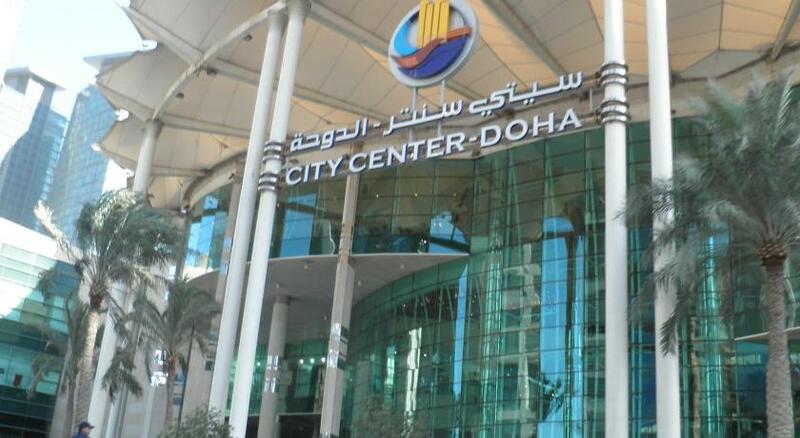 The pet-friendly W Doha is less than 13 mi away from Hamad International Airport. Free private on-site parking is available. 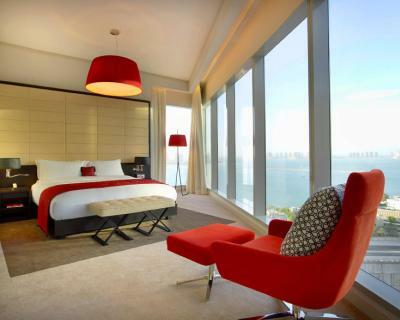 When would you like to stay at W Doha? This double room features a mini-bar, sofa and bathrobe. 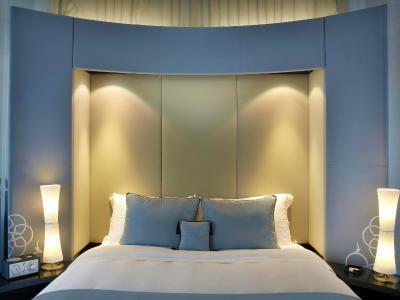 This double room features air conditioning, iPod dock and mini-bar. This apartment features a bathrobe, air conditioning and sofa. This double room has a flat-screen TV, iPod dock and electric kettle. This double room features a seating area, iPod dock and electric kettle. The hotel offers a plethora of services and amenities for business and leisure travellers, including meeting rooms equipped with state-of-the-art technology, multiple venues for business events and conferences, a wide range of must-see restaurants and lounges and the first & only Bliss spa in the Middle East W Doha has gone one step ahead to mobilise technology and allows guests to make reservations via social media by using the hotel’s official hashtag, #WDoha and enjoy keyless check-in with SPG® app. Moreover, it offers 24-hour connectivity via whatapp & BBM for travelers, who are on-the-go 24/7. Room services, business centre and all relevant amenities are made available round the clock, so schedules aren’t interrupted and business needs are met sans delay. House Rules W Doha takes special requests – add in the next step! W Doha accepts these cards and reserves the right to temporarily hold an amount prior to arrival. Please note that no parties are allowed in the Extreme Wow Suite. Please note that a refundable deposit is required upon check-in. The credit card used for a prepaid booking must be presented at check-in. If it is not, the hotel reserves the right to deny check-in or collect a guarantee payment, in cash or from another credit card. Please note that a marriage certificate is required upon check-in for locals as per the law. Please note that hotel guests are exempt from membership fees at Crystal although admission is not guaranteed. Management reserves to right to deny admission to hotel guests who do not adhere to club rules and whose conduct, demeanor or appearance is deemed inappropriate. The one issue that we had during our stay was a power issue in our suite which affected the lighting in the bathroom. A quick call down to the Whenever/Whatever line and a maintenance person was dispatched to my suite immediately. Within 10 minutes the problem was resolved (a tripped circuit breaker). 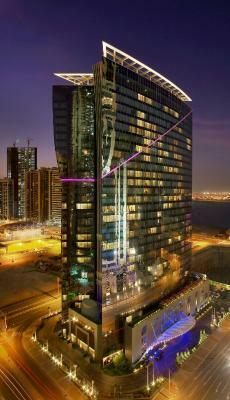 The W Hotel Doha was an amazing property to celebrate my 45th birthday. The staff, from the moment the limo arrived thru the check-in process, all the way thru the check-out was incredible. My room was on the 14th floor and was immaculate. Because it was my birthday weekend I was greeted with a fresh slice of birthday cake every day of my stay. The turn down service in the evening was very welcoming and comforting...it gave the feeling of being at home. 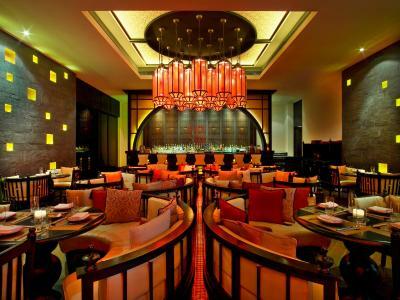 The Wahm lounge near the pool is one of the best shisha lounges in Doha. Very relaxing. Very comfortable. Very friendly and attentive staff. An amazing place to relax and enjoy the evening with music and refreshments. There is so much more I could say to describe the wonderful experience that my wife and I had during our stay. But instead I will simply say...this is an amazing property and I will definitely recommend the hotel to anyone who is visiting Doha. 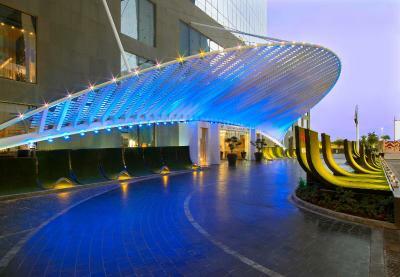 I think this is the place I will stay each time I visit Doha. The breakfast was very good. The gym facilities were also very good and staff were lovely. I will stay there again if travelling to Doha. The rooms were of decent size, Restaurants and the coffee shop were all nice. Staff in reception were very friendly and helpfull. When checking in, the staff was very welcoming and friendly. Great room with a city view and delicious food throughout the day. The internet in the rooms is pathetic. The room cleaning staff would come into the room after just knocking once or twice. They wont give you the time to open the room. However busy you are or whatever you are doing, be it in bathrooms or with whatever you are doing, you have to open the room on the run or they will just come into the room and embarass you. The rooms were clean and the bed was perfect. The location is very nice. I requested a pull out bed prior to arrival on this site and confirmed that request upon checkin. However I didn't not receive the bed and extra linen by bedtime and had to call reception again to follow up on the request for a 3rd time. The reception from parking to room service was generally good. The room was clean and super comfortable. the bathroom was clean and the toiletries etc were first rate. When the pull out bed arrived it was a lovely addition.